This gemstone jar display stand is a perfect addition to those who subscribe to my Gemstone of the Month Club! 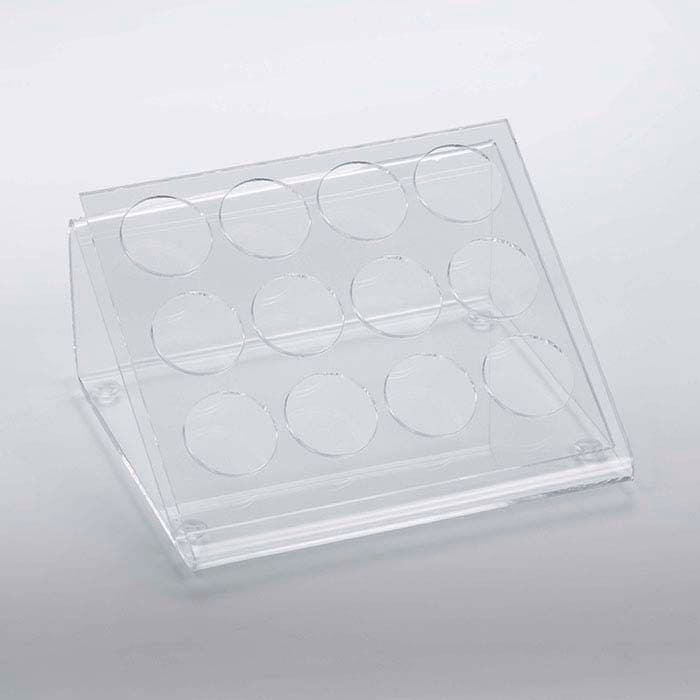 This display stand holds 12 gemstone case jars (not included). This tray is perfect to display stones as well as to store and organize them. Jars are held at an angle to ensure excellent visibility. The display holds twelve jars.